War is hell, or so they say. But the aftermath, as depicted in This War of Mine, is certainly no paradise either, survivors barely able to call themselves that, struggling on a daily basis. Such is also the fate of Adam and his daughter, protagonists of recently released This War of Mine: Stories – Father’s Promise (there’s a mouthful for ya!) DLC. Will they be able to leave the city in one piece? What? Oh, no, I’m most definitely not about to spoil their fate here, as that would ruin the entire experience! What I will however do, is highlight interesting additions; aside from the obvious father/daughter survival story, of course. These do after all include not only several new locations, but also modified/remastered (whatever that last one means) ones, and best of all, brand new features! Enjoy playing detective? Good, because ‘clue searching’ is a thing here, alongside… well, a dialogue system. Because who wouldn’t want to spend time chatting in such a gloomy world? Who indeed. But seriously, the potential comfort factor is not lost on me. Become Adam – a father trying to save his daughter from the horrors of war and leave the besieged city. Follow their steps and discover a story of love, hate and sacrifice – the emotions we all share in the darkest of days. 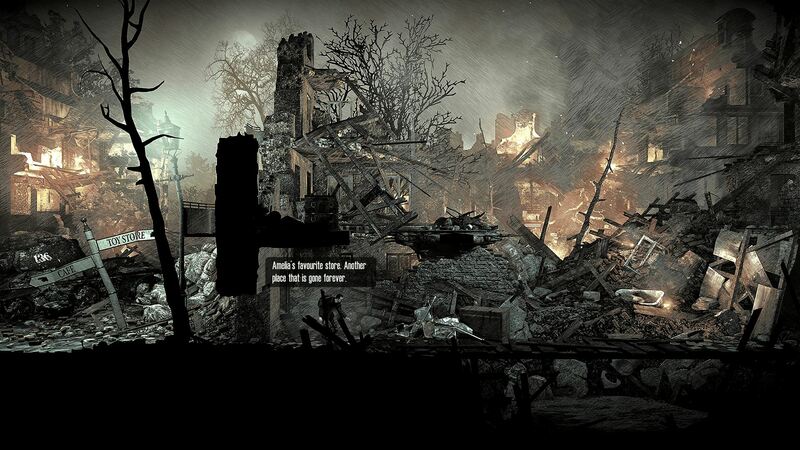 This War of Mine can be acquired from Steam, GOG.com, Humble, Origin, Google Play and iTunes. Note: This War of Mine: Stories is not available on Origin, Google Play or iTunes at the time of writing.